Ten holds of positive shapes in random colors and style of colour. Fastened with capheaded bolts M10. Holds are suitable for use on playgrounds, children walls or climbing at overhang. Bolts are not included. Ten holds of positive-pocket shapes in random colors and style of colour. Fastened with capheaded bolts M10. 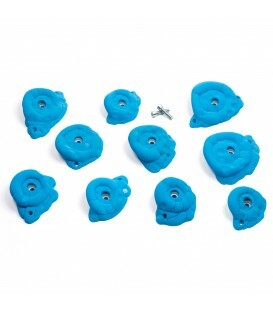 Holds are suitable for use on playgrounds, children walls or climbing at overhang. Bolts are not included. 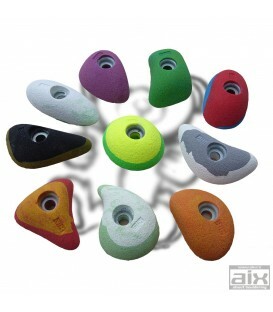 Ten positive holds various sizes in random colors and style of colour. Fastened with capheaded bolts M10. 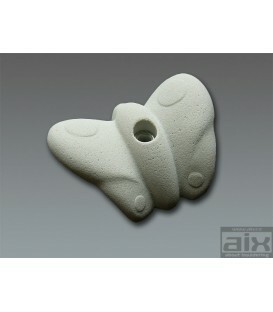 Holds are suitable for childrens and beginning climbers. Bolts are not included. 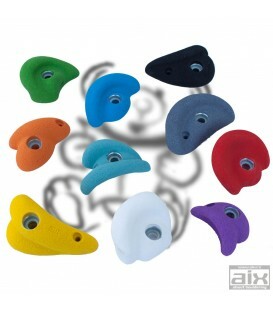 Ten small holds of sloper shapes in random colors and style of colour. Fastened with capheaded bolts M10. 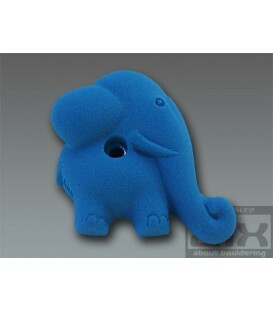 Holds are also suitable for use on children's walls. Bolts are not included. Ten small holds of positive shapes in random colors and style of colour. Fastened with capheaded bolts M10. 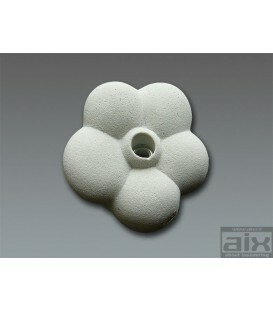 Holds are also suitable for use on children's walls. Bolts are not included. Mounting screws and anchors are not included. The price of transport to be arranged. 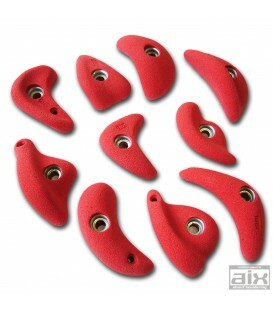 Ten small holds of positive shapes. Fastened with capheaded or countersunk bolts M10 (dual system). 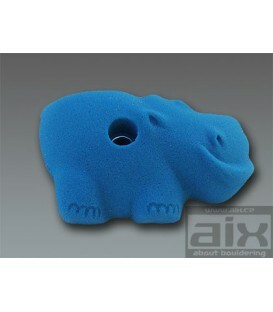 Holds are also suitable for use on children's walls. Bolts are not included. 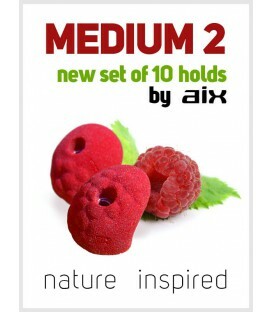 Ten positive holds various sizes. Fastened with capheaded or countersunk bolts M10 (dual system). 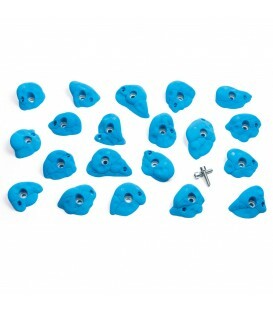 Holds are suitable for beginning climbers. Bolts are not included. Ten holds of positive shapes. Fastened with capheaded bolts M10. 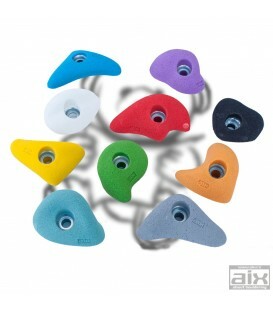 Holds are suitable for use on playgrounds, children walls or climbing at overhang. Bolts are not included. 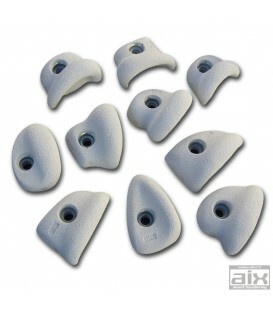 Ten holds of positive-pocket shapes. Fastened with capheaded bolts M10. Holds are suitable for use on playgrounds, children walls or climbing at overhang. Bolts are not included. Ten holds of positive shapes. Fastened with capheaded bolts M10. Holds are suitable for use on playgrounds or children walls. Bolts are not included. 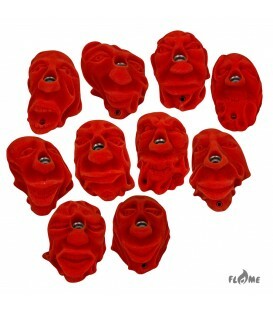 Ten faces holds for kids in Flame design. Fastened with capheaded or countersunk bolts M10 (dual system). Bolts are not included. 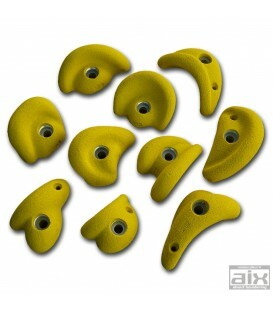 Ten holds of slopery shapes. Fastened with capheaded or countersunk bolts M10 (dual system). Holds are suitable for use on playgrounds or children walls. Bolts are not included. One children hold in the shape of a hippopotamus. Fastened with capheaded bolt M10. Bolts are not included. One children hold in the shape of a elephant. Fastened with capheaded bolt M10. Bolts are not included. 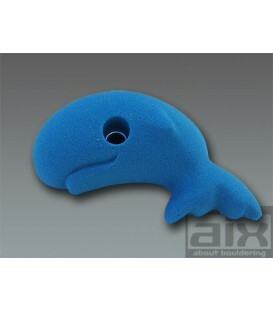 One hold in the shape of a whale. Fastened with capheaded bolt M10. Bolts are not included. 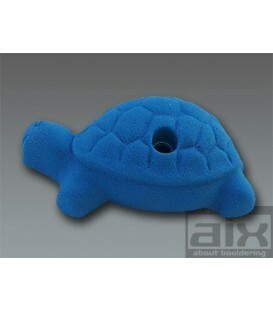 One hold in the shape of a turtle. Fastened with capheaded bolt M10. Bolts are not included. One hold in the shape of a flower. Fastened with capheaded bolt M10. Bolts are not included. One hold in the shape of a butterfly. Fastened with capheaded bolt M10. Bolts are not included. Ten holds in Desert Point design. Fastened with capheaded or countersunk bolts M10 (dual system). Bolts are not included. 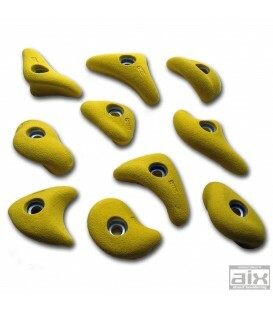 20 holds in Desert Point design. Fastened with capheaded or countersunk bolts M10 (dual system). Bolts are not included. 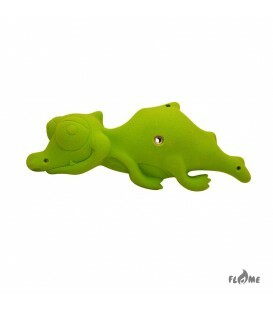 Kids climbing holds in the shape of a crocodile. Bolts are not included. Ten jugs in First design. Fastened with capheaded or countersunk bolts M10 (dual system). Bolts are not included.